Environmental issues like clean air, water, waste management and clean energy have made a significant appearance in India’s 2019 elections. Mongabay-India analysed manifestos of several national and regional political parties and found that issues related to water and air pollution, water scarcity, clean energy, coasts and Himalayas are a prominent part of party manifestos this year. The manifestos also have a significant focus on the agricultural sector and on the welfare of the tribal communities and forest dwellers. In the run up to the elections, Mongabay-India has covered over 50 stories exploring the link between environment and elections. With the elections now in progress, stay tuned for more from around the country. Who will win India’s parliamentary elections, will be known only on May 23 when the results are announced. But for now, there is a small win for the people of India, with environment-related issues finally featuring in nearly all manifestos of major national and regional parties. Tackling air pollution is one of the examples of this change in priorities as the issue now finds a prominent space in the manifestos of both the Bharatiya Janata Party (BJP) and the Indian National Congress, the leading national parties in the 2019 elections. “Air pollution has come to the forefront from being a non-issue five years ago. From being a little demand to clean air, it has now become something that politicians can’t ignore. But what is the action on the ground is the biggest question to answer. If the intention and the political will is from the top and you can take hard and harsh measures then the change is possible. The words are nice but the question is about the on-ground implementation,” Aarti Khosla, who is the director of Climate Trends, told Mongabay-India. India has seven national and 64 state parties with more than 2300 registered unrecognised political parties. Mongabay-India analysed the manifestos of over half a dozen major political parties, including national and regional parties, to find what place environmental issues have received in these declarations by parties. The analysis found a significant development from the 2014 manifestos, with issues related to clean environment, water, forests and tribal communities becoming a prominent part of all the manifestos analysed. Compared to the 2014 manifestos, the number and range of promises made on environmental issues have also increased in 2019. The parties have made promises to tackle air pollution, clean rivers, water bodies, protect forests, preserve water and ensure piped water supply, protect Himalayas, focus on renewable power and take steps to address concerns of tribal people. On air pollution specifically, the BJP, in its manifesto promised a comprehensive clean air programme in 102 cities to reduce pollution by 35 percent in the next five years. This continues from the 2014 promise that cleaner fuels will be promoted to bring down pollution in cities. 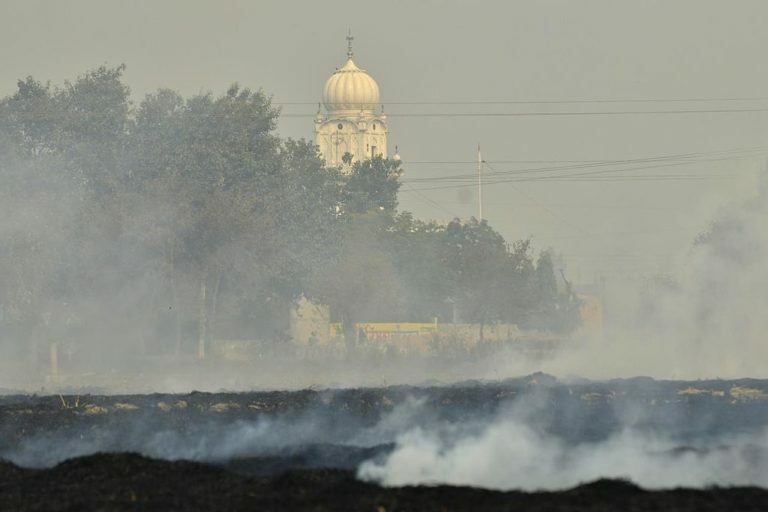 Congress, meanwhile, promised to recognise air pollution as a national public health emergency but didn’t mention any specific targets areas or timeline. The Samajwadi Party too has promised investment in clean air. Nearly every party, whose manifesto was analysed, promised to focus on renewable power. For instance, state political party from Tamil Nadu and Puducherry, Dravida Munnetra Kazhagam (DMK), promised to pursue 20,000 megawatt of solar power from Tamil Nadu alone. The All India Trinamool Congress meanwhile, promised a new energy policy which is defined by clean energy sources. Controlling air and water pollution is one of the major promises made by almost all the political parties. Photo by CIAT/Flickr. Many of the parties also voiced concerns about climate change and promised measures for reducing greenhouse gas emissions. They also emphasised on waste management in Indian cities. Congress even promised to impose a complete ban on the import of all types of waste. BJP and Congress both promised an urban transport policy with a special focus on walking and cycling. As far as clean rivers, water bodies and piped water supply are concerned, BJP promises a clean Ganga river but is silent about the cleaning of other rivers. The Ganga cleaning also continues from the party’s 2014 manifesto when it had promised to launch a massive ‘Clean Rivers Programme’ across the country driven by people’s participation. However, the issue of cleaning of rivers is more critical this time round because between 2015 and 2018, the number of polluted river stretches in India have increased from 302 to 351. Aside from the holy river cleanup, the manifesto made a mention of strategies to map pollution in cities and rivers but no specific cleanup action rivers has been declared. The Congress party, on the other hand, promises to double the budget allocation for cleaning rivers, including the Ganga, stop discharge of effluents into the rivers and tackle illegal sand mining on riverbanks. The Nationalist Congress Party (NCP), Communist Party of India-Marxist (CPI-M) and the Communist Party of India (CPI) too talked about checking the pollution of rivers and other water bodies. Cleaning of rivers is not a new promise for India’s parties. In 2014, the BJP had promised to clean the Ganga river but there has been no significant improvement in its quality so far. Are clean rivers a distant dream for India? Bathing in Ganga during Kumbh may wash away sins, but what about diseases? “They still have not understood that they would get water only until rivers continue to flow. Everyone is talking about water but not talking about rivers. This lack of understanding about rivers has to be rectified. Everyone talks about cleaning of rivers, we have to talk in terms of rejuvenation of rivers. Water security cannot be achieved without rejuvenation of rivers. 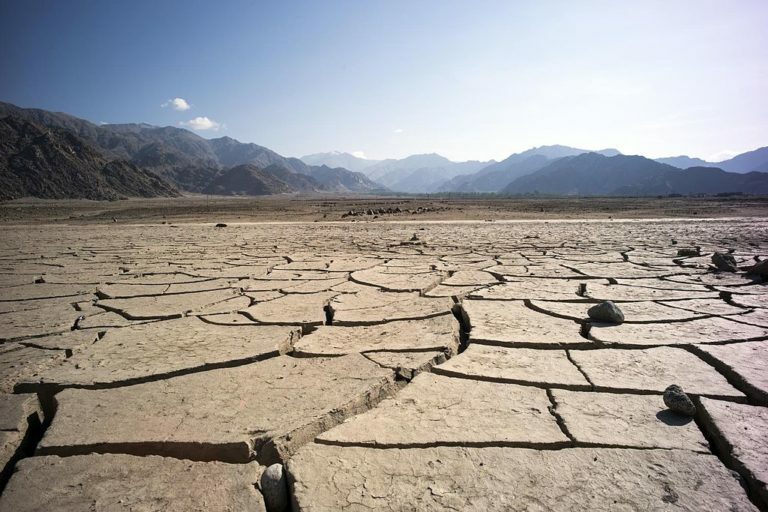 Another important thing that people are yet to recognise is the relationship between dying and drying rivers and dams,” Misra told Mongabay-India. The All India Trinamool Congress discussed about developing water transport corridors for rivers covering Ganga and Hooghly, Brahmaputra and Teesta, Brahmani, Mahanadi, Krishna Godavari, Narmada and other rivers and water-bodies across India. The NCP too promised to promote inland water transport. The political parties have also promised a series of measures to address problems in the agricultural sector. Photo by Christopher Michel/Flickr. Another major promise made in the manifestos was about ensuring piped water supply to all households. BJP, DMK and Trinamool Congress have promised piped water supply, with BJP adding a timeline to complete it in five years, by 2024. Congress, on the other hand, promised universal access to potable drinking water and a comprehensive water use policy. BJP and Congress also promised to create a water ministry to oversee all major water related issues. BJP also promised to focus on conservation of rural water bodies and groundwater recharge. Meanwhile, both Trinamool Congress and DMK vowed to eliminate groundwater contamination. In India, 15,811 habitations are affected by arsenic and 9,660 habitations are affected by fluoride. Of those affected my arsenic, almost 85 percent are in West Bengal, the Trinamool Congress’ stronghold. DMK additionally promised to develop a drinking water supply grid in the water scarce areas and Trinamool promised a national plan on rainwater harvesting for domestic use and irrigation. But one issue that can run into some controversy is the promise made by some parties on the interlinking of rivers. The issue has debated for many years with environmentalists pointing out that interlinking could turn into an ecological disaster. For instance, the BJP, who has been propagating the idea for years, promised to constitute an authority to work on river interlinking, while CPI said it would work on building a national consensus and DMK promised to promote river interlinking and start with a push for linking of peninsular rivers. CPI (M) promised to recognise people’s right to water and oppose privatisation of water resources. It also promised to tackle depletion of the groundwater and formulate a national water policy to treat water as a scarce public good. Continued agrarian and rural stress in India has aggravated over the past few years and the 2019 manifestos showcased that with giving prominence to these issues. Even during the assembly elections in five states in December 2018, the issue of stress in agriculture played a role in deciding the fortunes of the political parties. As farmers were dissatisfied with actions by the ruling party, BJP, it lost power in three major states, Rajasthan, Madhya Pradesh and Chhattisgarh, and voters opted to bring Congress into power. Congress had promised a series of steps for reducing farmers’ stress including farm loan waivers. Read more: How will the environment fare as India prepares for elections? Following the realisation, that the agricultural situation played a major role in voting preferences, most of the political parties whose manifestos were analysed, have given a dedicated space for the agriculture sector. Aside from the BJP, which is in power at the centre and in a number of states, most of the parties like Congress, NCP, CPI, DMK and Samajwadi Party have made promises to waive off farmers’ loans. The parties have also promised to promote organic farming, ensure fair price to farmers for their crops, and several of them have promised a separate agriculture budget and dedicated parliament session on agricultural issues. 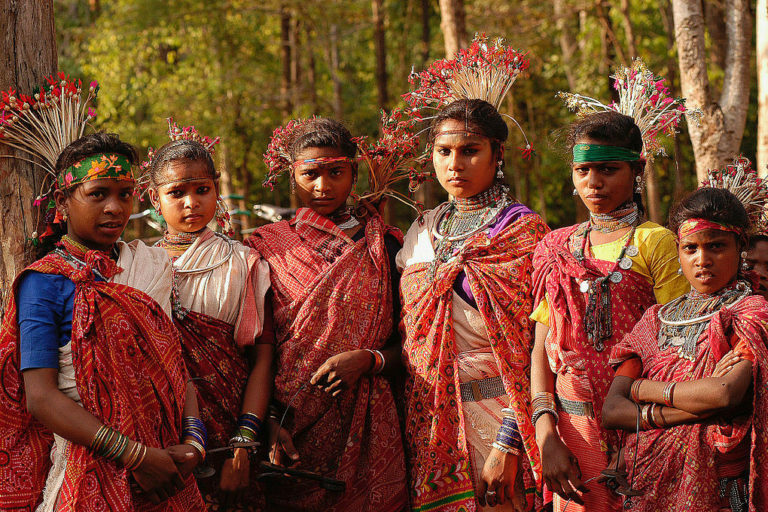 In the past couple of years, the issue of tribal people and their rights over forests has been in the media spotlight. On several occasions, tribal communities have taken out protest marches to demand proper implementation of the Forest Rights Act 2006. Most recently, in February 2019, the Supreme Court of India directed for eviction of tribal people from forests, whose claim over forest land was rejected under the FRA 2006. In their manifestos, most of the parties promised to take steps to properly implement the FRA 2006, which aims to recognise and give the forest rights to forest dwelling scheduled tribes and other traditional forest dwellers residing in the forests for generations but whose rights could not be recorded. The parties have also promised to ensure that the rights of tribal people are protected. Photo by Simon Williams/Ekta Parishad/Wikimedia Commons. Some of the opposition parties like Congress, CPI (M) and Trinamool Congress promised to reverse changes brought in by the Prime Minister Narendra Modi-led central government in laws that they feel have harmed the rights of tribal people, forest dwellers and coastal communities. For instance, Trinamool Congress promised to formulate people-friendly environmental laws, have a fresh look at the land acquisition policy and enact a new forest law for tribal people. CPI (M) promised to stop privatisation of forests and replace it with an appropriate policy protecting the rights of tribal people. It vowed to reverse the amendments to forest conservation and environment-related rules that dilutes the role of gram sabhas (village councils). Congress promised to correct distortions brought into 2013 Land Acquisition Act by the current government and initiate a time-bound review of all claims rejected under the FRA, stop eviction of tribal people from forests, constitute an independent Environment Protection Authority (EPA), reverse dilutions in the coastal zone regulations brought in by the current government, increase forest cover from around 21 percent to 25 percent of India’s total land by 2025 and manage human-wildlife conflict. CPI promised to take steps to tackle human-wildlife conflict to control damage to crops. “They have talked about proper implementation and strengthening of the FRA while the Modi government, in the last five years, undermined and weakened it. Another important thing is that they are promising to not consider farmers defaulting on loans as criminals. Implementation of promises is a thing of the future but we can say that Congress has come out with a solid manifesto. Congress has addressed issues where the Modi government in the last five years took steps that were against tribal people and farmers,” Shukla told Mongabay-India. The parties also promised several steps to protect the Himalayas. For instance, the BJP promised a green bonus for Himalayan states for protecting and promoting forests. BJP also promised to launch a mission for achieving self-sufficiency in oil seeds, a national bee-keeping and honey mission and launch a national feed and fodder mission to end fodder shortage. DMK promised to promote large scale urban afforestation and promote the development of palm plantations. Banner image: Environmental issues hold a prominent place in manifestos of the political parties. Photo by Raghuraj Hegde/Wikimedia Commons.